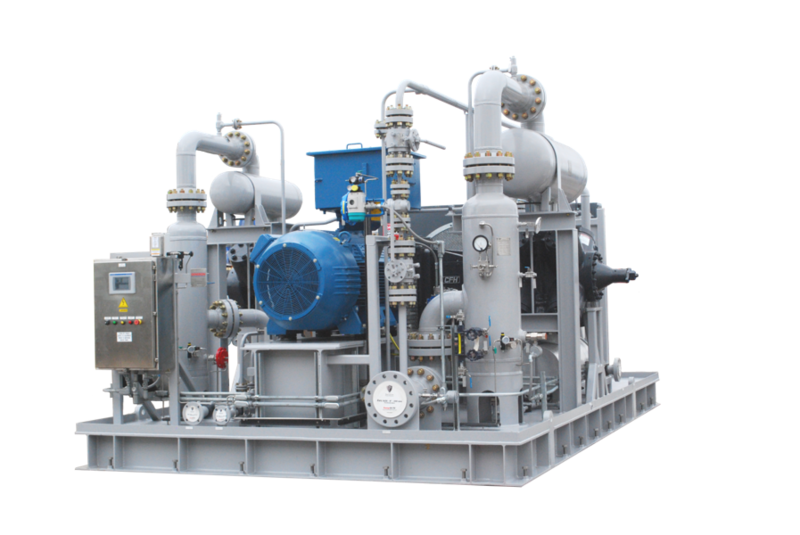 Contracted by Venture Engineering and Construction, GENERON has manufactured and supplied a 550 hp Reciprocating Gas Booster (compressor) System. This compressor is capable of compressing Biogas (RNG) for pipeline injection, from 105 psig to 1100 psig with a flow rate of 3.35 mmscfd. For this project, GENERON looked to Baker Hughes to provide a CFH62, dynamically balanced, two-throw, reciprocating gas compressor. This compressor is powered by and directly coupled to a 550 hp, 4160 v electric motor, as per the operator’s specification. This GENERON® package will be installed at a Landfill to RNG facility in Ashland, Kentucky, and will be owned and operated by Big Run Power Producers. To compliment the GENERON® system, Houston Vessel Manufacturing, an affiliated IGS company, supplied the pulsation vessels and gas separation vessels for this package.